I have taken in - game preview prison architect but I can not take the free dlc I also my account ( this ) is connected to the game on xbox one what can I do ? Hi @Dreuz95, just checked and you're already flagged for the content unlock. Providing your DoubleID is still connected, you have the content already, as of the 24th June update with version 1.0.0.10. You do not receive a notification for this change, and the DLC will still show as available to buy in store, but the content is unlocked in your game. When you have the base game only, you have 6 wardens. When you connect your DoubleID you get 2 free wardens. When the DLC is unlocked (as yours is flagged to), you receive 8 additional wardens as well as 8 new Plots and Prisons. If for some reason this still isn’t showing please let me know, however we have so far had no instances of missing DLC where a user’s account is flagged for the unlock, as yours is. I didn't receive the day and night dlc on Xbox even though I was in the game preview(Xbox one). I recently purchased the Prison Architect All Day and a Night Edition which is the base game and the DLC but for some reason I don't see that I have access to the additional Wardens. Is there something that I am doing wrong? It depends. If you bought it on day one and haven't checked since then, there was a store bug where people weren't getting the DLC license. But that was fixed weeks ago now. What do you see when you view the DLC product on the store page? You've already looked in your warden choices when you start a new game I'm guessing from your post. I haven't received my DLC too. I bought the game on Xbox One when it was in early access and tried to play nowadays, nothing appears indicating that I have the DLC. Also, there is a price at the online store, so it's not marked as acquired. PS: The game is great! You did a nice job! Most Game Preview players got the content automatically, even though the DLC product is still saying available to buy. Go to a new game and scroll through the wardens. If you've got 6 then your DoubleID isn't singed in. Got 8 then you're signed in but haven't got the DLC unlock. Got all 16 and you're golden! 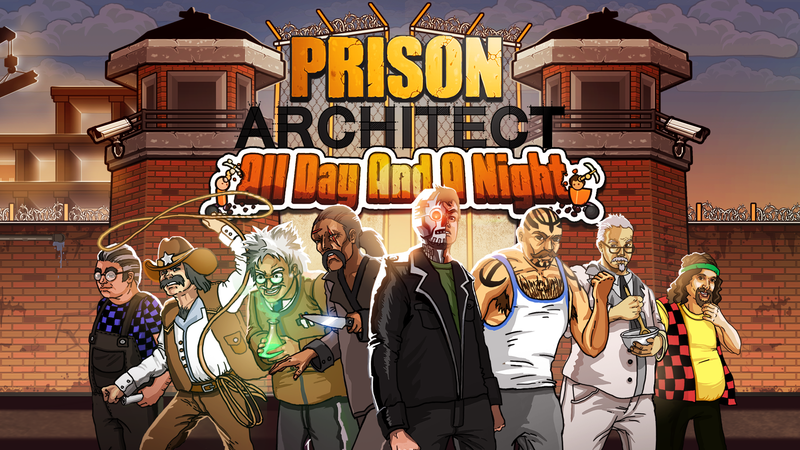 You'll also find the 8 plots and prisons in Prison Warden mode Have a look for me and see how many wardens you've got. If for whatever reason the unlock flag wasn't applied, we can do it manually. In fact, I've just looked up your DoubleID and you're flagged. Let me know if they're still not showing! Everyone so far with the flag has been okay, it just doesn't really 'warn' you you've got the content so it can be hard to notice. It does come free when you purchase the game yes? I know for a fact I was able to choose that robo warden as an option but now it is gone. No, only if you bought it during Game Preview or pre-ordered the physical release. My DoubleID is signed but I have only the same 5 stories from the early access, with the DLC it should have more, right? DLC doesn't give you stories- it's eight new wardens, eight new prisons and eight new building plots. Go to start a new game and see how many wardens you have to choose from. Hi, so I participated in the game preview and I believe I got the doc for free but it has disappeared? My double 11 I'd is linked but I only have 8 wardens and plots. I think I remember seeing doc there but its gone now.